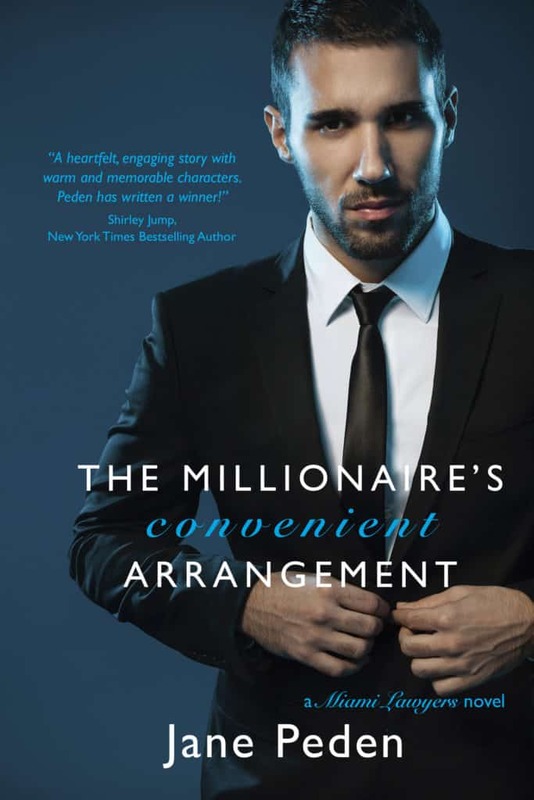 Today on Mr. Media, I’ve rescued another interview from my archives. This time, we’re reaching back to October 3, 1984, for my telephone interview with legendary singer – and Sinatra contemporary – Jerry Vale. This story originally appeared in the St. Petersburg Times on Friday, October 12, 1984, the day Jerry Vale performed at Ruth Eckerd Hall in Clearwater, Florida. 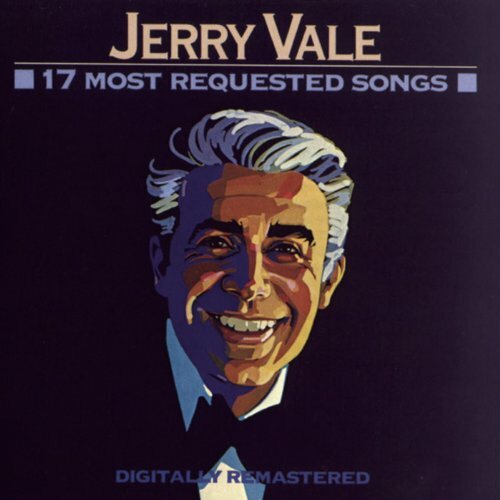 Order ’17 Most Requested Songs’ by Jerry Vale, available for immediate download from Amazon.com! Along with Tony Bennett, Perry Como and Frank Sinatra, Jerry Vale is one of the most enduring crooners of his generation. There were two important breaks in Vale’s career. The first came when a friend pushed the singer into the spotlight at the Club del Rio at the end of an amateur night, and Vale won the contest with a rendition of “Faraway Places.” The club’s manager hired him for three weekends at $10 a night, and a career was born. The biggest break he had was working in Yonkers at the Enchanted Room in 1950. “I met Guy Mitchell, the guy who recorded ‘My Heart Cries For You.’ He was doing a one-nighter. We became friendly, and he arranged for me to audition for Mitch Miller at Columbia Records,” Vale said. 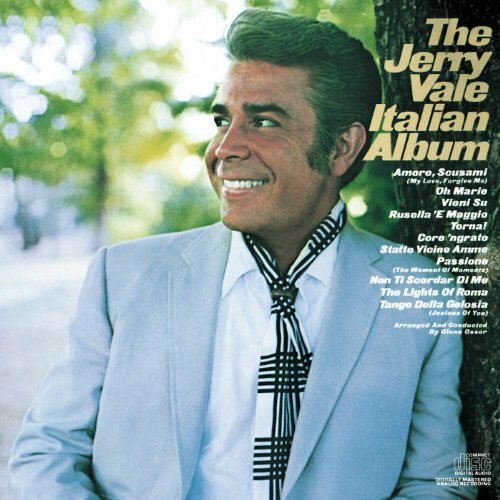 Order ‘The Jerry Vale Italian Album,’ available for immediate download from Amazon.com by kicking on the album cover above! Vale’s first hit, “Purple Shadows” in 1954, was somewhat of a surprise. “It was a smash in Pittsburgh first,” he said. Vale was a little confused when his record company called with the news. Vale expressed concern that his style of singing is on the verge of extinction. “I can’t think of one singer that’s doing the type of songs I’ve done. It’s a shame that some of those songs are not going to be done like they should. 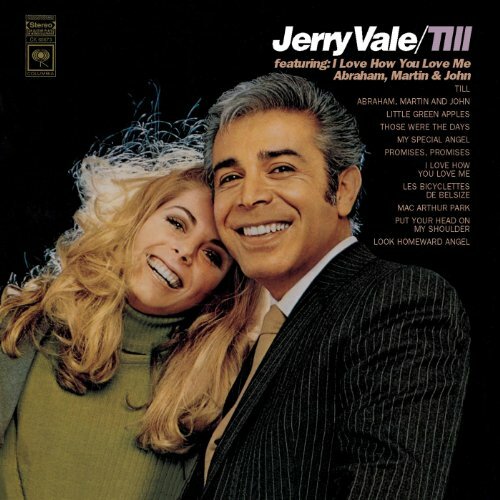 Order ‘Till’ by Jerry Vale, available for immediate download from Amazon.com by clicking on the album cover above! Vale has made almost a second career of singing Italian standards like “Al Di La” and “Mama Femina,” becoming to Italian-Americans what Bobby Vinton is to Polish-Americans. The ethnic songs, along with past hits and numbers from Broadway shows such as La Cage Aux Folles and A Chorus Line, fill out the show Vale brings to Ruth Eckerd Hall tonight. Vale will be accompanied by an 18-piece orchestra including violins, trumpets, trombones, saxophones, a rhythm section and guitars.